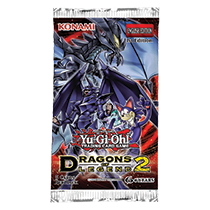 Cards in this set work well with the upcoming Crossed Souls booster set and Duelist Pack: Battle City, as well as Legendary Collection 4: Joey’s World, which contains cards drawn from storylines from the classic Yu-Gi-Oh! animated TV series. Each 5-card pack contains 4 Super Rare cards along with 1 prismatic Secret Rare.